The Friendly City is much more than a thriving hub for industry. Often overlooked this beachside city has blue flag beaches, a substantial art and food scene and is well regarded as an international destination for sport- Nelson Mandela Bay is proud to be hosting the Iron Man World Championships in 2018. Travelstart brings you our top 21 things to do this summer in easy-going, fresh P.E. First things first- download the Nelson Mandela Bay Travel App which has all the latest things to do in P.E. plus emergency contacts, where to find free Wi-Fi and even audio guides to specific sites. Download it here. A great way to save some randelas is to buy a NMB pass to qualify for free entry and discounts for a number of Port Elizabeth attractions. There are a variety of options including the 5 in 1 pass, which is valid for 3 months and limits you to any 5 of the offers. The Ibhayi Sunshine Saunter pass allows you free and discounted offers to products on the Ibhayi Sunshine Saunter and cost R250 per adult and R200 per child. It is valid for 3 months and limits the Ibhayi Sunshine Saunter Pass holder to a maximum of 4 of the free items on the Ibhayi Sunshine Saunter Pass as well as the discounts. Free entrance at the Kragga Kamma Game Park and the Seaview Predator Park. Pass holders receive a free race card, drink and a R50 entertainment voucher at the Fairview and Arlington Race Course. You’ll qualify for a free round of putt-putt on a challenging 18-hole course at Open Sky Entertainment Park. And a free Paintball experience which includes all the gear + 100 paintballs at Paintball Heaven. Free entrance and guided tour to the SA Marine Rehabilitation & Education Centre. (Pass holders visiting SAMREC also receive free admission into Cape Recife Nature Reserve). Ibhayi Sunshine Saunter pass holders also receive free entry, animal feed, and breakfast at the Holmeleigh Farm Yard. Pass holders receive a free 1 hour horse trail ride at Heavenly Stables. A free picnic at Thunzi Bush Lodge. Normal Nelson Mandela Bay Pass T&C’s apply. Founded in 1924 in Port Elizabeth this classic roastery is still going strong. Have a cup of P.E.’s finest at their headquarters in Russell Road. Open from 8am to 5pm in the week, 8am to 1pm on Saturdays and closed on Sundays. Find cheap flights to the Friendly City here. A beautiful beach a short drive away from the city in a reserve, perfect for sunbathing, swimming- don’t forget your snorkel! Insider tip: The hotdogs in the food truck “Wurst Wagen” in the Sardinia Bay Beach parking lot are not to be missed! SAMREC is Port Elizabeth’s marine bird rehabilitation and education centre. You can find it in the Cape Recife Nature Reserve. Not only does the centre rescue and rehabilitate, but it also informs and educates the public through their programs. If you’re lucky you may be in P.E. when they release their rehabilitated penguins back into the wild. This lovely coastal forest reserve is home to bush pigs, vervet monkeys and a wide variety of birds. It’s bout 25km from P.E. central, you can access it via the Seaview Road turn off along the national road. Besides picturesque picnic spots there are a number of trails of different lengths to walk or run or you can do the entire 16 km Bushbuck Hiking Trail. The picnic sites have fire places. Open from 8am to 4:30pm during the week and until 4pm on the weekends. Ibhayi Sunshine Passholders visiting the penguins at SAMREC also receive free admission into Cape Recife Nature Reserve and tours can be arranged. The reserve includes a lighthouse built in 1851 and a bird hide. Entrance permits are available from Pine Lodge Resort located at entrance to Cape Recife Nature Reserve. A weekly permit costs R32 per vehicle. 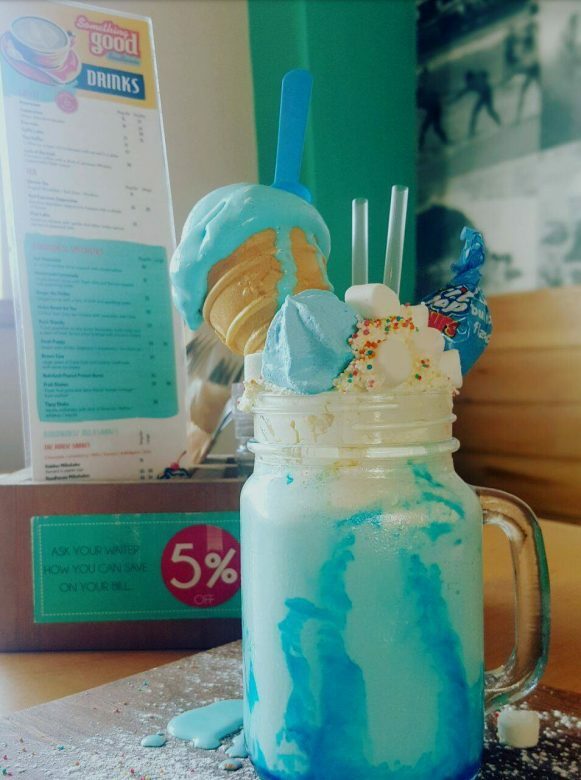 This old-fashioned roadhouse has the best ice-cream laden milkshakes in town. This is a good place to park if you’re visiting Pollock beach and the boardwalk. one of the best ways to remember a place is through the reminder of a second hand book. Lawrence Street has great antique offerings which make for a pleasant morning of browsing. Truly an example of wilderness within a city, for an easily accessible hike the Lower Guinea Fowl Trail is 7.5km long and can be accessed from the 3rd Avenue dip in Newton Park. Leguaans, dassies, lizards, tortoises and blue water lilies can be seen from this meander along the Baakens Valley flood plain. 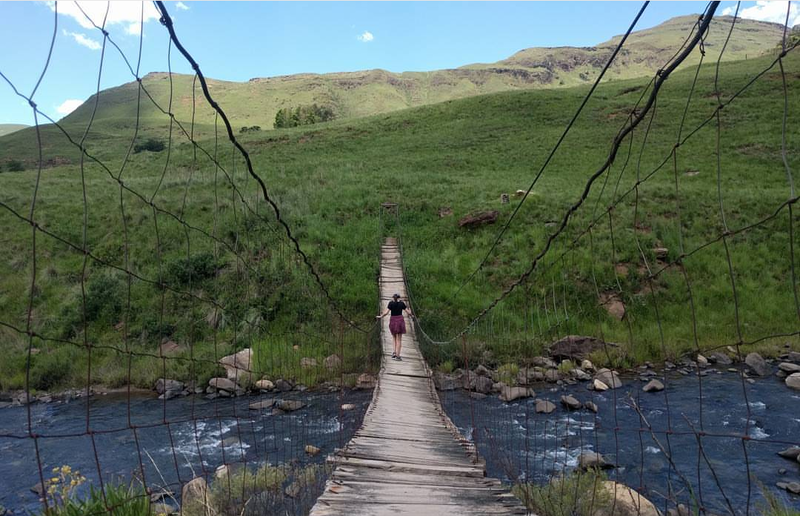 The trail isn’t circular so if you don’t want to double back then arrange for someone to collect your hiking group from the Settlers ark at Chelmsford Avenue entrance, off Target Kloof or at the main parking area just off How Avenue, Park Drive. This Richmond Hill spot is top of our restaurant bucket list. Winner of the Tripadvisor 2016 certificate of excellence, Fushin is an ever-popular crowd pleaser. Open everyday from midday to 10pm. Look out for events organised by P.E.’s most on the pulse musicians here. One venue – two markets, meet P.E.’s equivalent to Joburg’s famous Neighbourgoods Market. If you happen to be in the Friendly City on the morning of the 1st Saturday of the month or the evening of the third Saturday you’re in for a treat. All the best of P.E.’s food artisanal food vendors are there to impress. Entrance is R20 and all proceeds go to charity. The next Valley Market will be held on the 7 January 2017 from 9am to 2pm. The next Goodnight Market will be held on the 19 January 2017 from 5pm to 9pm. Both take place at the Corner of Lower Valley Road and Union Street. Call: +27 79 444 5666. Check their Facebook page for live music events here. The springbok carpaccio and brie pizza is a winner. Open Monday to Sunday from 11am ’til late. History buffs will love the the 5km Donkin Heritage Trail which links 51 places of historical interest in the old Hill area of Central Port Elizabeth. At Vovo Telo our flay whites are a way of life. Join us for a flat white & a slice of freshly baked cake. Open for dinner on Mondays, dinner and lunch every other day and closed on Sundays. Surf’s up- use your 5-in-1 NMB pass to book a surf lesson at Oceanside Surf Store. The great thing about surfing in P.E. is that it is always loads warmer than Western Cape waters and if you go in winter you’ll have your wetsuit and sunshine for company. Spend a sublime afternoon in the bush veld keeping your eye out for their signature bird the Kynsna Turaco. You qualify for a free picnic with the NMB pass valued at R175! Ice-cream and a walk by the seaside, what could be better? Shark’s Rock Pier is 137 metres long and was originally built to prevent sand erosion before becoming a picturesque attraction. Surprisingly there is some good scuba diving to be had at its base particular for beginners, plus take in spectacular views of Humewood and Summerstrand beaches from the pier. The Karoo produces the bulk of the world’s mohair production. Collect your adorable free mini angora goat at the Mohair South Africa boutique if you have the Nelson Mandela Bay Pass.